Farmers Insurance, Claim Denied and Breach of Contract? The lawsuits keep rolling in over the Oct. 8 landslide in Southwest Portland that destroyed two homes and damaged another. On Wednesday, Yuan Chou and his wife, Siukee Tong Chou, filed two suits: one against their insurance company for breach of contract and intentional infliction of emotional distress; and another for liability against David and Kathleen Hendrickson, the couple whose home slid down the hillside, crashing into the Chou's home. The Hendricksons' 1930 home at 6438 S.W. Burlingame Place damaged one home as it ripped the Chou's home off its foundation. The Chous have been living in a rented apartment since narrowly escaping the sliding debris of earth, cars and building materials. The Chous' suit against Farmers Insurance seeks payment of unspecified damages to their home, its contents and attorney's fees. 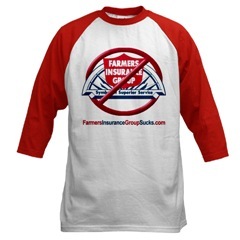 Farmers issued them a letter last month saying their policy does not cover landslides. The city of Portland has issued permits for cleanup and some slope stabilization. That work is being paid for by Farmers, which also insured the Hendrickson home. The cleanup falls under the couple's liability policy, but they also are suing Farmers for breach of contract after Farmers denied their property claim. The city has not found a definitive reason why the home slid, and an exact cause may never be known because the slide erased the evidence. But a preliminary investigation led officials to believe that a leak in the Hendricksons' backyard sprinklers may have saturated the soil. The homeowners installed a sprinkler system on the property in March 2005, according to city records. Last September, they installed a new back-flow device and shut-off valve. Water use at the property was unusually high just before the slide, officials have said, suggesting a leak or a malfunction. But it's unclear whether the sprinklers were overused or a pipe broke. The Hendricksons' suit against Farmers cites "an accidental discharge of water" that may have caused the damage. Farmers hired a consultant who concluded, among other things, that the slide was triggered by slope instability "due to the presence of water" and that the water was not likely from rain or natural seepage. Lawyers in the case expect that homeowners and their insurance companies and the Hendricksons' contractors and their insurance companies likely will come together later this year for settlement talks.